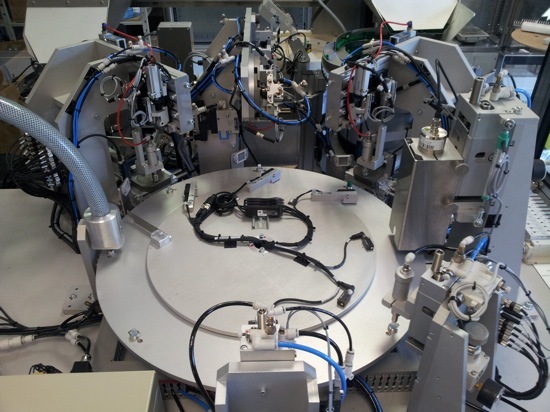 ASM designed a bloodless-valves assembly bespoke machine for a world leader in disposable medical equipment. The very high rate of assembly and test required a very careful development from our engineers and technicians, specifically for the valve itself, more difficult to handle as it was flexible (medical silicone). To meet the automation requirements of our client, ASM has used the latest high speed pick-and-place modules to reach a production of 2400 pieces per hour.